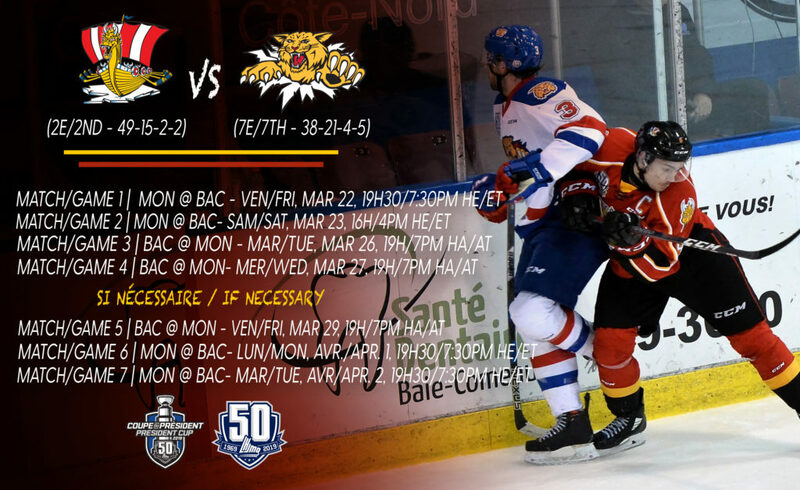 The Eastern Division Champion Baie-Comeau Drakkar will start the 2019 President Cup Playoffs with a formidable challenge when they face the Moncton Wildcats in their first-round postseason battle. The Drakkar finished the regular season second in the Eastern Conference with a record of 49-15-2-2, good for 102 points, their best showing in 17 seasons. The Wildcats experienced a 23-point improvement over the previous season, finishing seventh in the conference with a 38-21-4-5 record and 85 points. The teams split their two-game season series, both teams securing one-goal victories in enemy territory. On November 17th in Baie-Comeau, two goals from Jakob Pelletier and 25 saves from former Drakkar netminder Francis Leclerc would prove to be the difference in a 5-4 Wildcats win. On January 27th in Moncton, the Drakkar received goals from four different players – Nathan Légaré, Gabriel Fortier, Yaroslav Alexeyev and Ethan Crossman – in a 4-3 win over the Cats. This is the 18th postseason appearance for the Drakkar. Last season they fell in a five-game first-round series to the Halifax Mooseheads. 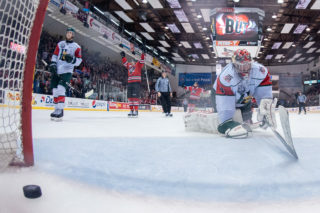 The club is still searching for its first President Cup title after reaching the league final in 2013 and 2014, where they were defeated by the Mooseheads and Val d’Or Foreurs, respectively. 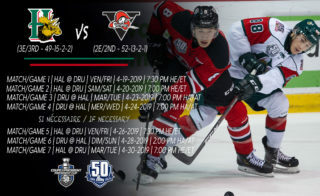 In addition, the Drakkar are seeking their first playoff series win since 2015, when they eliminated the Saint John Sea Dogs in five contests. The Wildcats are also participating in their 18th QMJHL playoff season. 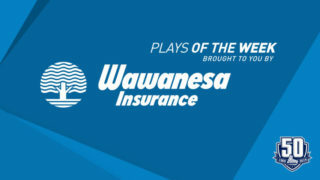 Last year saw them, as the 14th seed, upset the third seed Rimouski Oceanic in seven games. 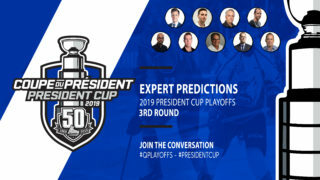 They would ultimately fall in five games to the eventual President Cup finalist Blainville-Boisbriand Armada in the ensuing round. 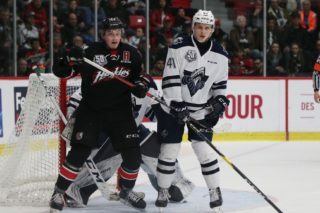 Moncton has appeared in three league finals, falling in five games to the Gatineau Olympiques in 2004, before defeating the Quebec Remparts in six games in 2006 and the Saint John Sea Dogs, also in six games, in 2010. The Drakkar’s formidable offense is led by Russian winger and San Jose Sharks prospect, Ivan Chekhovich. The third-year veteran paced the club with 105 points during the regular season, good for a tie for second overall in the “Q”. Fellow winger Légaré’s 45 goals led the team in that department. Other key offensive contributors included center Fortier (83 points) and winger Alexeyev (73 points). Xavier Bouchard, Christopher Merisier-Ortiz and goaltender Alex d’Orio, who went 16-6-0-1 after being acquired at the trade deadline from the Saint John Sea Dogs, solidified a defense that finished fifth in goals against during the regular season. Leading the offense for a Wildcats club that finished third in the conference in goals for are wingers Jeremy McKenna (97 points), 2019 NHL Draft prospect Pelletier (89 points) and Minnesota Wild prospect, center Alexander Khovanov (74 points). Jordan Spence led all rookie defensemen with 49 points, while 20-year-old goaltender Leclerc proved to be a workhorse, compiling a 28-17-4 record over the course of 55 appearances. The only previous postseason meeting between these two teams was a mismatch. Outscoring their opponent 23-4, the Wildcats swept the Drakkar in four straight games during the opening round of the 2004 President Cup Playoffs. Both the Drakkar and Wildcats represent teams on the rise in the QMJHL. The two clubs combined for a 60-point improvement in the standings over last season. 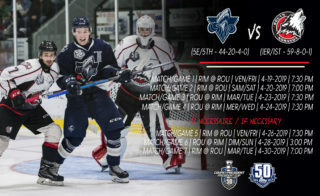 When this series returns to Moncton for Game 3, it will represent the first postseason game played at the brand new home of the Wildcats, the Avenir Center.